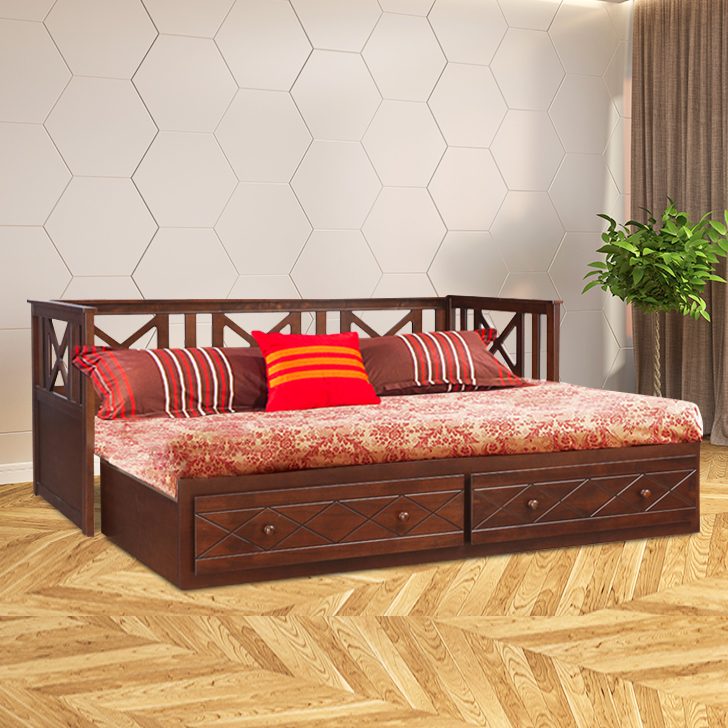 The daybed is used as Divan mostly in the living rooms or guest rooms. Can be use as single bed or a full size king bed. The pull-out bed opens to become a full size king bed. Two single size mattresses of up to 4 inch height recommended in Coir or Foam 2 Drawer to store bedding. Recommended mattress size - 78" X 36"
Slatted base for easy movement. Made up of solid wood ensuring durability and long life. Simple pull-out mechanism to open and close the bed.